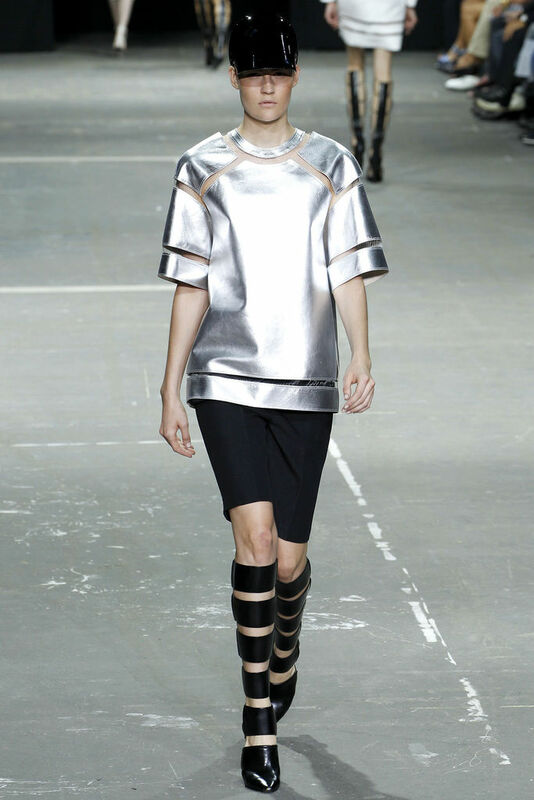 Another success for Alexander Wang: His spring 2013 Ready-to-Wear collection. Besides the simple color scheme (black, white, grey and silver) there was nothing simple about this show. 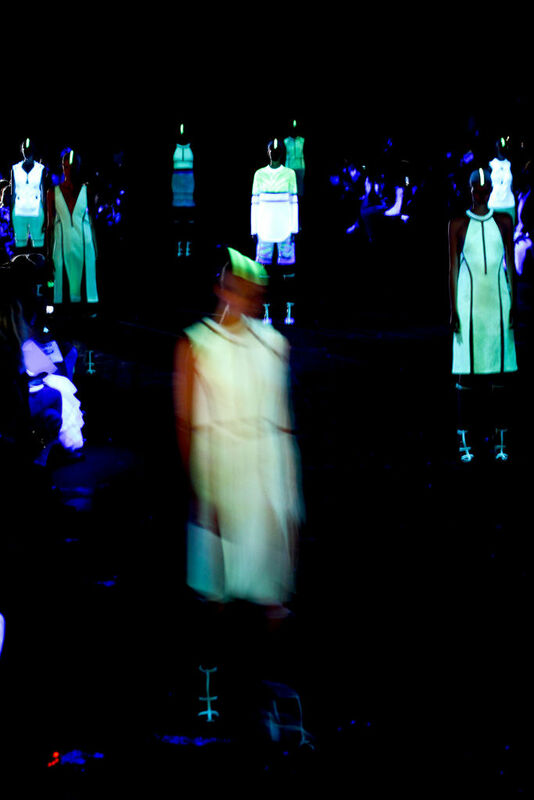 Wang carefully deconstructed his garments to a point that they looked as if they were floating on the models. He took cut-outs to the next level by slicing the dresses up and defying gravity. Some very sporty-looking slouchy silhouettes are featured as well as very feminine dresses that look like they are specifically constructed for the model’s body. The futuristic styling and the sliced-up dresses contributed to a sci-fi feel maybe a little too outrageous for a Ready-to-Wear collection, but the cool cuts make it more wearable. 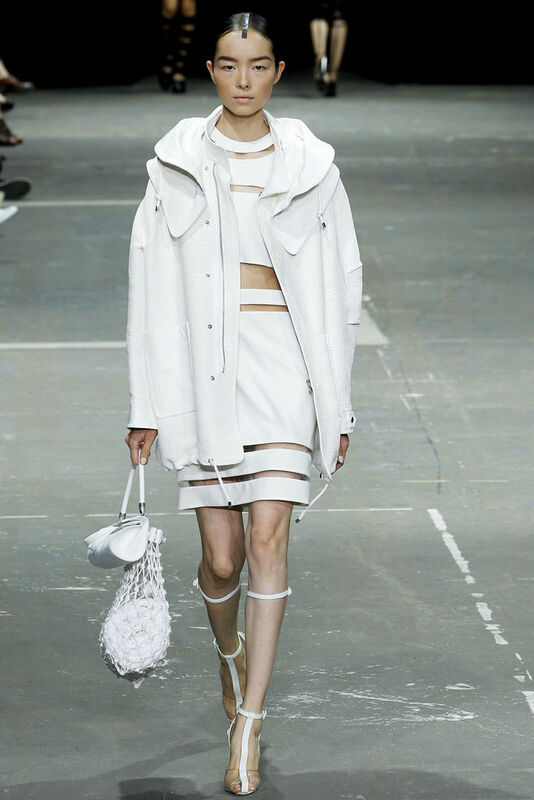 Plus.. it’s Alexander Wang.